Nursery growers will be exempt from paying business rates which could have driven them out of business. Local Government Minster Marcus Jones said he would amend rating legislation to ensure the agricultural exemption applied to growers. Agricultural land and buildings do not have to pay business rates but in 2015, a court ruled a nursery growing under cover did not qualify for the agricultural exemption. 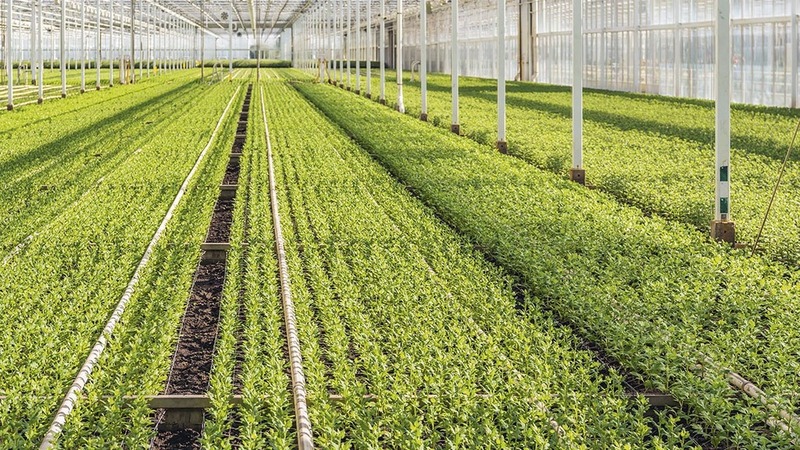 The NFU said it believed the issue was an anomaly and ‘not parliament’s intention’ but would have a damaging effect for nursery growers and the wider horticultural industry. Following the ruling valuation officers had visited businesses trying to interpret the law and tell them they needed to pay business rates. Lee Stiles, secretary at Lea Valley Growers, agreed imposing business rates would drive many out of business. “What you have got to remember is a lot of our members do not receive state or Common Agricultural Policy funding but are in competition with other growers in Europe who do," he said. “To put another cost on at a time when people are already operating as such small margins, would have closed many of them down." The Valuation Office had treated nursery growers as exempt since 1928 but had started to bring in business rates to nursery buildings, including structures such as poly-tunnels, after the court ruling. Mr Jones confirmed the Government’s policy was that land and buildings at plant nursery grounds should benefit from the agricultural exemption. “Therefore, we intend at the soonest opportunity to amend the Local Government Finance Act 1988 to ensure both agricultural land and buildings at plant nursery grounds are exempt from business rates,” he added.